A recent editorial in the Walla Walla Union-Bulletin claims studying removal of the lower Snake River dams is absurd. 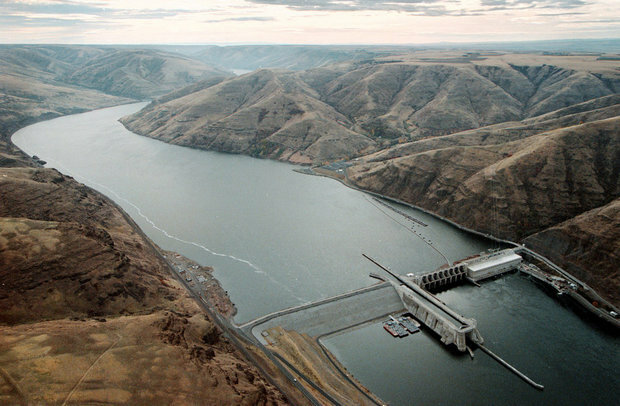 The myths conveyed in the editorial continue to circulate in the Columbia River basin -- salmon and steelhead (wild) are on the rise, dam removal would increase the chances of salmon restoration only slightly, if at all, - while hurting the Pacific Northwest economy. The flow of the river would change, putting a lot of the region under water ending many agricultural operations. With barging eliminated in the Snake trucking is the only remaining mode of transportation. A few upturns in salmon numbers does not establish a trend. Wild Snake River salmon and steelhead continue to remain far below sustainable recovery. The increases observed in 2001 and 2008 are related to improved ocean and reservoir conditions when the seaward migrants entered the saltwater. A majority of fisheries scientists agree that the best if not the only way to recover Snake River salmon is dam removal. Investing hundreds of millions of dollars in techno-fixing the problem is not a long-term solution both biologically and economically. Returning the lower Snake to a free flowing river will not put the region under water. In fact, Lower Granite Dam has increased the flood threat to downtown Lewiston calling for levees to be heightened. Irrigating agricultural land in the Pasco area can continue by lowering pumps from the current reservoir level to the river. Energy can be replaced without exacerbating carbon dioxide. Trucking is not the only way to move goods to and from Snake River ports. Before navigation locks, trains moved much of the commerce. Improving some rail and highway infrastructure will be required to replace navigation. The Corps of Engineers built high quality track along the lower Snake River during dam construction. The Northwest economy stands to profit from a restored free flowing river. Snake River salmon recovery will resonate throughout the Columbia River basin. Puget Sound orcas will benefit. There is no free lunch -- retaining the lower Snake River dams will continue to be expensive with few results. Removing dams also has costs but the benefits will exceed costs in the long run. What is needed in the region is open dialogue and debate based on facts.